This memory board game is fun for the whole family. 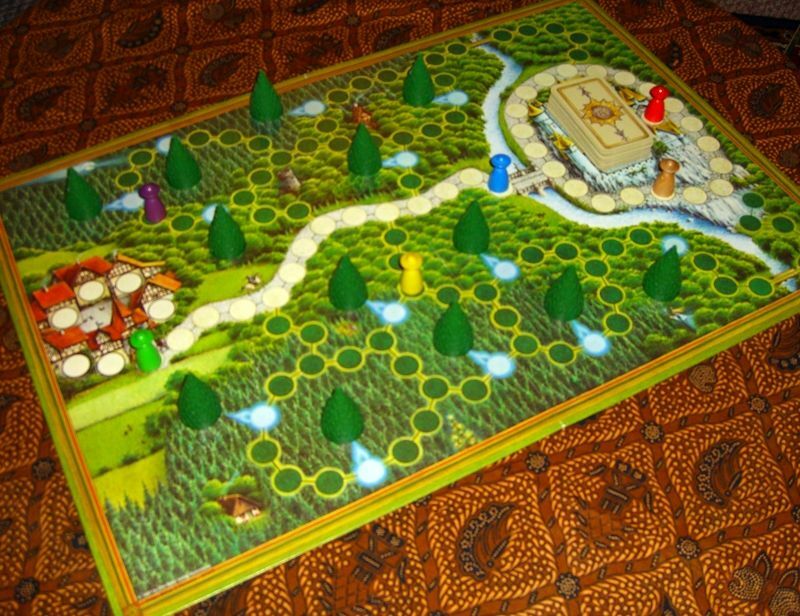 Players roll a pair of dice and move around the board. When landing on a tree they look beneath the token and try to memorize the iconic object represented on the bottom. The deck of cards in the castle displays similar object icons and if you know under which tree the symbol is, head for the castle and start earning your rewards! The player to earn the most cards wins. But watch out if someone lands on your token you are sent back to the beginning. If you roll doubles you can warp to any tree or go straight to the castle. The game was made in 1981.